Maratek Environmental provide a range of cost effective hazardous solvent and non-hazardous waste recovery, removal, re-location and disposal. If you produce solvent waste it is vital to have a solvent waste management policy in place to ensure correct solvent waste disposal. 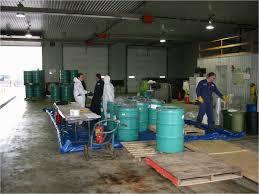 Maratek Environmental are fully licenced solvent waste management carriers. We ensure that all our labelling, transport documentation and environment agency administration are in full compliance with current legislation. Our waste collection and total waste management service uses its own fleet of vehicles and highly trained and experienced company drivers ensure the safe transport of hazardous materials from any site in Southern Ontario. Our solvent recovery service manages your waste from collection, through recovery, reuse and final residual disposal, supplying accurate documentation and taking care of your legal obligations. All drivers are fully registered and trained. All Maratek liquid and hazardous waste collection and disposal services are compliant with the relevant regulatory bodies. We collect, treat and disposes of liquid solvent waste as well as various industrial waste, hazardous and dangerous waste, bulk products or packaged in containers, drums or bins. In order for us to make an assesment on your solvent type and provide you with information about the recovery and recycling of solvents, we can do a sample test for you. If you are interested in switching onto the MaraSolve Solvent Recycling Program, you may be eligible for our free recycled solvent trial offer.